There’s a good chance UCLA ends its College World Series hiatus if everything goes as planned. The last time the Bruins reached the CWS, it was 2013, and righthander Adam Plutko and others helped guide the program to a national title with a thrilling series win over Mississippi State. The Bruins haven’t had as much success since that point, but they’ve still been solid. And last season, UCLA, despite having a young roster, showed the future was bright. John Savage’s club made their seventh postseason appearance in the last nine seasons, and reached the Minneapolis Regional final against host Minnesota. The Bruins season ended with a loss to the Golden Gophers, but the foundation was set for the 2019 campaign. “You know, we really like our depth on this roster. We feel like we have a lot of depth in different areas,” Savage said. “We have definite depth on the mound. We’re still searching for someone to be that front-end guy in the rotation, but we most certainly have depth. UCLA should have a stout set of position players. Daniel Rosica and center fielder Daniel Amaral are the only notable offensive departures, while it welcomes back hard-hitting Michael Toglia and several others. 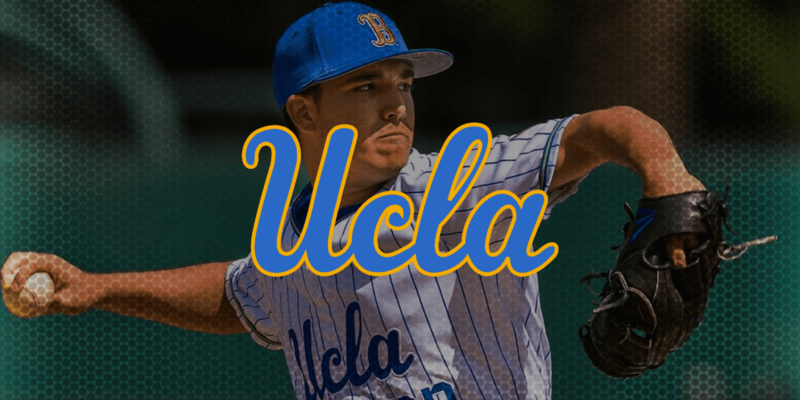 On the mound, the Bruins, as Savage alluded to, still are looking for a bonafide Friday night ace, but righthander Ryan Garcia might be ready to take on that role. Garcia had a strong summer and impressed this fall, while Zach Pettway could be ready to take a sizable step forward after making some serious improvements in the weight room. There’s also imposing lefthander Justin Hooper, who continues to return from an injury and is a wild card as the ’19 campaign nears. In essence, the Bruins look like a team ready to compete for another national title. The offensive pieces are present, and the personnel is a year older and battle-tested. The pitching staff is loaded with quality depth, but again, do the Bruins have a No. 1 starter who can go toe-to-toe in the Pac 12 with Oregon State’s Kevin Abel and others? The Bruins are still looking for that bonafide No. 1 starting pitcher to emerge, but they have a couple of good options to begin every weekend in righthander Ryan Garcia and Zach Pettway. Garcia, a 6-foot, 180-pounder, tallied some solid numbers last season, and took yet another step forward this past summer. He again made moves this fall, getting up to 94 with his fastball with feel and command of four pitches. Savage feels like he had a sneaky good sophomore campaign and is ready to be one of the nation’s best in 2019. Pettway, a 6-foot-1, 206-pounder, is an interesting arm to watch. He tallied impressive numbers as a freshman last season, but didn’t have overpowering stuff with a fastball in the mid-80s. Pettway is much stronger this fall after working hard in the weight room, and was more 88-90 mph with his fastball, while also developing a quality slider. “We limited him this fall, but he still had a very good fall,” Savage said of Garcia. “We started him up on October 1st and he was up to 94 with the fastball. He’s really taken a big step forward for us.